Following the untimely death of Paul Walker in 2013, it would have been completely acceptable had everyone involved in the “Fast and Furious” franchise decided to call it quits, particularly because “Furious 7” works so well as a bookend to the family saga. 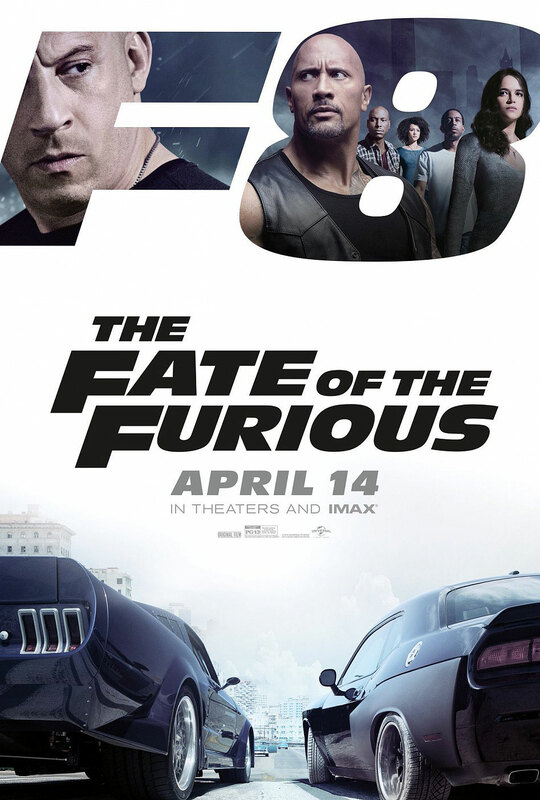 Despite the loss, the series has soldiered on with another installment (and two more on the way), but while “The Fate of the Furious” proves that the mega-franchise can still function without Walker’s character, it definitely suffers from a Brian O’Conner problem. Much like how the Avengers curiously never show up to help each other in their respective solo movies, the attempt to explain Brian’s absence in this film (especially considering the personal nature of the main plot) only serves to open old wounds. It’s a void that director F. Gary Gray and writer Chris Morgan try to fill with some new additions to the team, and though it’s not entirely successful, the movie gets by on the charisma of its cast and the over-the-top action that fans have come to expect from the series. The story begins in Havana, Cuba, where Dom (Vin Diesel) and Letty (Michelle Rodriguez) are busy soaking up the culture on a much-deserved honeymoon, only to have their vacation cut short when Hobbs (Dwayne Johnson) enlists their help in retrieving a stolen EMP device in Berlin. But when Dom suddenly double-crosses the team and gets away with the weapon, they discover that he’s secretly working for a cyber-terrorist named Cipher (Charlize Theron), who Letty believes must be blackmailing him. Beaten, bruised and betrayed by their friend, the team reunites under the direction of shadowy government agent Mr. Nobody (Kurt Russell) and is forced to work alongside former adversary Deckard Shaw (Jason Statham), who has his own history with the notorious hacker and wants revenge, in order to track down Dom and Cipher and prevent them from starting World War III. “If you must blink, do it now,” warns the narrator of “Kubo and the Two Strings,” a movie so confident in its eye-popping visuals and brilliant storytelling that it knows you won’t want to miss a single moment. It’s advice you’ll definitely want to follow, because after the disappointment of 2014’s “The Boxtrolls,” Portland-based animation studio Laika is back at the top of its game with this wildly inventive adventure film that’s packed with the kind of sincerity and heartfelt emotion you rarely find in the medium, Pixar excluded. But “Kubo and the Two Strings” is more than just a return to form for the studio; it’s their funniest and finest movie to date – an absolutely delightful fairy tale that will likely go down as one of the year’s best. 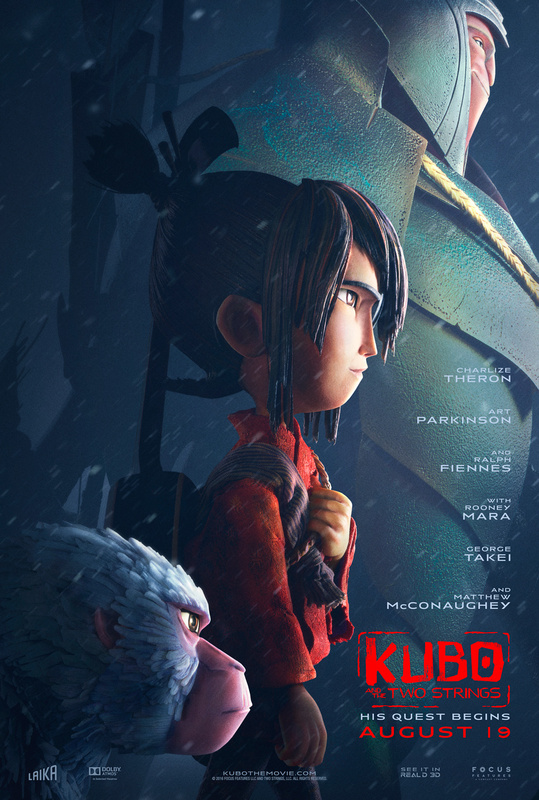 In feudal Japan, a young, one-eyed boy named Kubo (Art Parkinson) has been tasked with taking care of his sick mother in their remote mountain home. During the day, Kubo goes down to the nearby village to tell stories about the legendary samurai Hanzo with his magical samisen, a traditional, three-stringed Japanese instrument that can manipulate colorful sheets of paper into animated origami figures that move and dance with the strum of a string. 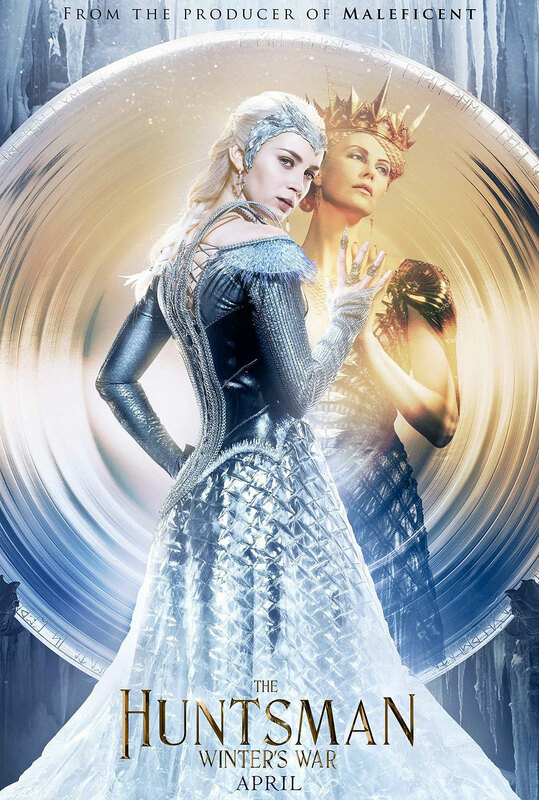 When he doesn’t heed his mother’s warning and stays out after dark one night, however, Kubo inadvertently summons his evil twin aunts (Rooney Mara), who have been sent by his grandfather, the Moon King (Ralph Fiennes), to steal his other eye. Kubo’s mother comes to his rescue just in time, sacrificing herself to save him and using her last bit of magic to bring to life a wooden monkey charm that serves as his guardian. With the help of Monkey (Charlize Theron) and a cursed man-beetle warrior (Matthew McConaughey) with no memory of his previous life, Kubo must embark on a quest to retrieve the three pieces of Hanzo’s fabled gold armor in order to defeat his vengeful family. There’s a reason why there aren’t many comedy Westerns, and even fewer that are actually any good, and that’s because the subgenre as a whole is very difficult to pull off. So you have to credit Seth MacFarlane for not only having the cojones to follow up “Ted” with such an offbeat genre hybrid film, but actually succeed where so many others have failed. “A Million Ways to Die in the West” is probably his most ambitious project to date, and although that may sound strange for a man who made a movie about a talking teddy bear, it’s nice to see a filmmaker with that kind of confidence. 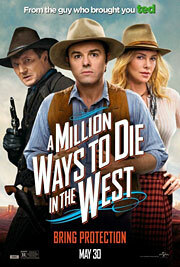 Like most things in MacFarlane’s career, “A Million Ways to Die in the West” is guaranteed to divide audiences, but it’s a really solid comedy with more than enough laughs to offset its minor shortcomings. MacFarlane stars as Albert, a cowardly sheep farmer who’s astutely aware of just how horrible life is in 1882 Arizona. After weaseling his way out of a gun fight, Albert’s embarrassed girlfriend Louise (Amanda Seyfried) dumps him for Foy (Neil Patrick Harris), the arrogant owner of the local moustachery. While contemplating leaving town for a fresh start, Albert saves a beautiful woman named Anna (Charlize Theron) and they immediately bond over their shared hatred of the Wild West. When Albert challenges Foy to a duel in the hope of winning back Louise, Anna agrees to help him become a better gunfighter, falling for the lovable loser in the process. But what Albert doesn’t realize is that Anna is married to a dangerous outlaw named Clinch Leatherwood (Liam Neeson), who rides into town upon hearing of Anna’s infidelity to kill the man that stole his woman.